15-day free trial. No credit card required. Great for companies of all sizes and industries. Local taxes (VAT, GST, etc.) will be charged in addition to the prices mentioned above. Want to know how much Zoho CRM costs for your organization? Try our unified customer experience platform. Leads, documents, mobile apps and more. All you need to start your small business. How does the 3-user pack work? 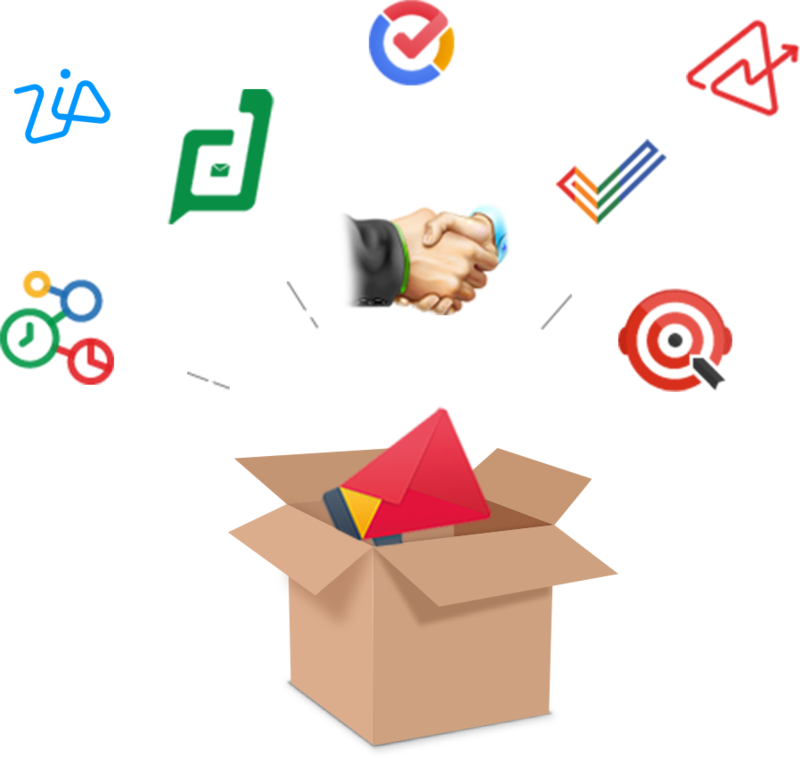 The 3-user pack is a special pricing plan that allows customers from India (purchasing in INR) to buy three user licenses of Zoho CRM’s Standard, Professional, and Enterprise editions for a flat monthly fee. Please note that the 3-user pack strictly cannot be combined with any one of our regular per-user pricing plans, so if you're in need of more than three user licenses, or you anticipate adding more than 3 user licenses in the future, we recommend that you simply subscribe to any one of our regular, per-user pricing plans. Can I get a demo of Zoho CRM? Yes, we would be happy to demonstrate Zoho CRM through a web-conference at your convenience. The demo is a one hour session. To schedule your personal session, please contact sales@zohocorp.com. We accept payment via Visa, MasterCard, American Express and PayPal. We also accept payment via bank transfer or check transfer for yearly subscriptions. For more details, please contact sales@zohocorp.com. Does Zoho CRM support multiple languages? Yes, we support 25 languages: English (US), English (UK), Finnish, French, German, Spanish, Italian, Japanese, Korean, Portuguese (Portugal), Portuguese (Brazil), Russian, Swedish, Thai, Chinese (China), Chinese (Taiwan), Danish, Dutch (Netherlands), Polish, Hungarian, Turkish, Vietnamese, Hindi, Croatian, Czech. You are not bound by any contracts or commitments. Zoho CRM is a pay-as-you-go service (monthly or yearly), so you can make changes to your plan whenever you need to. We’re fervent about keeping your data safe and secure. Our facilities feature stringent 24/7/365 security with video monitoring, biometric access, and advanced fire, flood, and theft monitoring systems. Our network security system employs the latest encryption and intrusion detection and prevention technologies. Learn more about Zoho CRM's data protection measures. Yes. We do comply with the EU-US Privacy Shield Framework as set forth by the Department of Commerce which applies to the collection, use and retention of customer personal data from the European Union. For more information, please check this link. Of course you can! Log in to Zoho CRM, click the Upgrade link on the Home page, and follow the steps on the Subscription page to switch to a new plan. Our support team is available 24/5, Monday through Friday to assist you. Visit our Support Center to contact us. *Some of the features of this plan require a minimum user commitment of 100 users. Contact us for further details.